There have been some huge weights taken recently at Decoy Lakes and again at the weekend the carp fed in numbers. In the Saturday Open on the Elm Pool, Tony Dawson returned to form to win with a fine 235lb 12oz, then came John Trowell with 210lb 3oz and Danny Carlton with 193lb 1oz. The Sunday Open was fished on the Beastie Pool and was even better. Top rod with 237lb 8oz was Chris Barley, surely one of the best anglers in the area right now when it comes to catching fish close to the top. Runner-up was Liam Darler with 179lb 5oz followed by Simon Godfrey on 172lb 9oz and John Whincup on 170lb 4oz. JVAC fished the Six Island Pool at Decoy and topping a big field with 204lb was Lee Kendal. He caught mostly barbel on worm. Runner-up Ian Frith had a good net of carp weighing 117lb 5oz and Kevin Wilmot was third on 113lb 13oz. Chris Saunders won the Decoy Over 55s match on the Yew Lake from peg 15 with 135lb 4oz. Roy Whincup came second on 87lb 6oz and then it was Mick King in third place with 82lb 9oz. 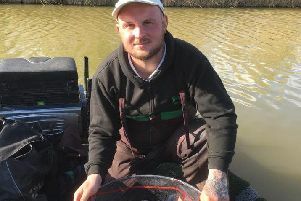 Fenland Rods fished their handicap match on the Six Island Pool and Peter Parlett came through to win from peg nine after his handicap was added to his catch weight. Second was Mel Lutkin, followed by Mick Rawson. In real terms, Dave Garner took the honours with 108lb 14oz from peg seven, catching on cat meat with rod and line in the second half of the match. Second with 107lb 5oz was Lutkin followed by Parlett on 90lb 5oz. Weights at Haddon Lodge were not quite as good as expected on Sunday, but the in-form Martin Harwood still topped the field, albeit with a modest 25lb 13oz. Second was Frank Bevilaqua on 20lb 5oz, then came Tony Moulds with 16lb 8oz.